Sacroiliac joint dysfunction is a medical condition that leads to sacroiliac (SI) joint pain. While the exact cause of SI joint pain has not been determined, there are a variety of treatments available to alleviate joint pain. Fortunately for most patients, SI joint pain can be managed through nonsurgical treatments and rarely requires SI joint surgery. Sacroiliac joint dysfunction can be managed through simple techniques and treatments. What parts of the spine are affected by SI joint pain? The sacrum is a triangular bone in the pelvis that begins just after the end of the lumbar spine. The sacrum gets its shape from several vertebrae merging together during fetal development. The SI joint lies between the sacrum and iliac bone, which is where the sacroiliac joint gets its name. These joints make a dimple-like imprint on your lower back just above the waistline. The SI joints are one of the larger joints within the body. SI joints move very rarely. The normal movements of the SI joints include tilting, sliding, and rotating, which only occurs for a couple of millimeters. The SI joints are held in place by multiple strong ligaments. If these ligaments are damaged, the stability of the pelvis may become jeopardized. This can happen if the pelvis is injured from a fracture. Fortunately, these ligaments are quite sturdy and are not commonly torn completely after an injury. Because of these ligaments, the SI joints barely move in adults. In pregnant women about to give birth, a special hormone is released that relaxes these joints, allowing the pelvis to stretch more easily while giving birth. Several pregnancies may increase the possibility of arthritis in the SI joints. With age, it is common that the SI joints become completely stiff and offer no movement, which is not problematic as regular mobility does not seem to be affected by these joints. It is thought that the SI joints act more as shock absorbers to reduce the stress on bones during a fall or other activity that might jar the body. What causes sacroiliac joint dysfunction? There are many reasons why you might experience SI joint pain. As mentioned previously, multiple pregnancies may cause an onset of arthritis later in life. In patients with 1 leg that is shorter than the other, the misalignment of the legs may cause SI joint pain. Unfortunately, it may be difficult to correctly diagnose an exact cause for SI joint pain. The SI joints are similar to the knee, shoulder, and hip joints. Because of this similarity, arthritis may affect the SI joints later in life. Conditions such as gout, psoriasis, and rheumatoid arthritis can all affect your sacroiliac joints. Septic arthritis may also occur if the bacteria that is in the blood begins to settle within the SI joints, which may require SI joint surgery to drain the infection. SI joint injury is often a common cause for SI joint pain. Patients may suffer from SI joint pain after a car accident, injury, or other traumatic event. It is often thought that the SI joints may be injured during a car accident because the foot on the brake pedal absorbs the shock of the impact. Additionally, a similar sacroiliac joint injury may occur if you fall and land on one side of your hip or buttocks. Sacroiliac joint pain symptoms include pain in your lower back and buttocks. This pain may affect both sides of the back and buttocks or just one side. Similar to a herniated disc or other spinal conditions, pain from the SI joints may radiate down the leg and into the foot, often confusing patients into thinking that they may be suffering from another spinal condition. Pain in the groin and spasms within the muscles of the buttocks are also common sacroiliac joint dysfunction symptoms. SI joint pain can cause sitting to be painful. How does Dr. Rozbruch diagnose SI joint pain? There are several ways to diagnose SI joint pain. Dr. Rozbruch may be able to diagnose SI joint pain through a complete analysis of your medical history and current health through a physical exam. It is important to notify Dr. Rozbruch about any activities or positions that seem to worsen or alleviate your SI joint pain. A simple examination of your posture and locating exactly where you feel pain can help Dr. Rozbruch reach an accurate SI joint pain diagnosis. Dr. Rozbruch may also order lab tests to determine if you may be suffering from an infection or arthritis. A urine sample and blood sample may be needed to help diagnose these conditions. Another common test that may help Dr. Rozbruch diagnose your sacroiliac joint pain is a spinal X-ray. An X-ray of the pelvis, lumbar spine, and hips can help determine what condition may be causing your SI joint pain symptoms. An X-ray of the spine can also help determine the extent of degeneration or damage your SI joints have undergone. If additional information is still required, a spine MRI is often ordered to take a more detailed look at the lower spine. An MRI of the spine can help to confirm if you are suffering from SI joint pain. Bone scans are also useful tools to determine how the surrounding bones are responding to strain. During a bone scan, safe radiotracers will be administered into your bloodstream, which will travel to areas of the bone that are responding to stress caused by SI joint pain, arthritis, or another spinal condition. These radiotracers are easily visible during a special spinal X-ray. One of the most precise ways to diagnose sacroiliac joint dysfunction is by administering a diagnostic injection. Diagnostic injections for SI joint pain are administered with the use of a spinal X-ray. A needle will be placed within the SI joint, and an anesthetic will be administered to the joint to numb it. Dr. Rozbruch can safely assume that your symptoms are caused by SI joint pain if your discomfort goes away while these joints have been safely numbed. What nonsurgical SI joint pain treatments are available? Initially, Dr. Rozbruch will attempt to treat your SI joint pain symptoms noninvasively. If you are experiencing mild SI joint pain symptoms, Dr. Rozbruch may suggest monitoring your discomfort to see if it improves. 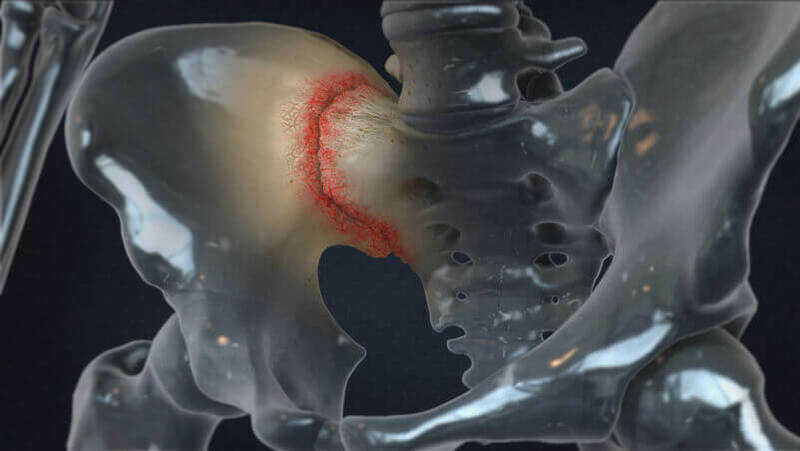 If your sacroiliac joint dysfunction symptoms do not improve, Dr. Rozbruch may prescribe anti-inflammatories to help reduce inflammation and discomfort in the joint. Pain medication may also be used, but this type of medication will not reduce inflammation. It may be suggested that you limit activities to allow your back and joints to properly rest. Resting can help to reduce inflammation, muscle spasms, and SI pain. A specifically designed sacroiliac joint belt may also be prescribed, as it can help immobilize the SI joints to help ease the pain. SI joint pain may respond to physical therapy involving specific exercises and stretches designed to reduce SI joint discomfort. Physical therapy can help strengthen the muscles of your lower back and reduce inflammation. If physical therapy does not help relieve your SI joint pain, Cortisone injections for sacroiliac joint dysfunction may be recommended. These corticosteroid injections in and around the sacroiliac joints can dramatically reduce inflammation and irritation. SI joint injections use medication that helps to treat the inflammation and pain caused by arthritis. In some cases, hyaluronic acid injections may be used to help lubricate the SI joints and reduce pain. All SI joint injections provide temporary relief, so it is important to continue finding an SI joint treatment that can help manage your symptoms in the long term. What SI joint pain surgery is available? If noninvasive SI joint pain treatments do not alleviate your symptoms, sacroiliac joint dysfunction surgery may help to relieve your symptoms. SI joint pain surgery involves the fusion of the SI joint that causes pain. SI joint fusion can be achieved by removing the cartilage from both ends of the bones that form the SI joints. These 2 bones will be securely placed together with plates and screws known as instrumentation until these 2 bones fuse into 1 bone. SI joint fusion surgery can reduce the movement of the bones and help to ease SI joint pain. SI joint surgery is often the last resort and reserved only for patients who experience severe sacroiliac joint dysfunction symptoms. What should I expect after a nonsurgical SI joint pain treatment? Physical therapy is often suggested after undergoing a nonsurgical SI joint pain treatment. With multiple sessions a week, physical therapy may last up to 4-6 weeks. If you are suffering from moderate-to-severe SI joint pain, additional sessions may be required. Physical therapy for SI joint pain can help promote more mobility in the lower back and pelvis, which can improve the pain associated with sacroiliac joint dysfunction. If you are suffering from limited mobility due to SI joint pain, physical therapy can help you achieve a wider range of motion with specifically designed exercises. Your physical therapist can tailor an exercise regimen that can help improve endurance, strength, and flexibility. What should I expect after SI joint pain surgery? Following SI joint surgery, you will need a minimum of 6 weeks of rest before beginning physical therapy sessions. Physical therapy may last for 6-8 weeks or longer for a patient recovering more slowly from sacroiliac joint dysfunction surgery. Complete recovery from SI joint surgery may take up to 6 months or more. Your initial physical therapy sessions will revolve around managing any pain or inflammation after SI joint pain surgery. As you heal, your sessions will begin to incorporate additional exercises to build strength. At the end of your physical therapy, your physical therapist will teach you proper movements to avoid future pain and techniques to practice if SI joint pain symptoms ever return. How can I learn more about SI joint pain and a SI joint pain treatment? To learn more about SI joint pain, please request an appointment online or call Dr. Rozbruch’s orthopedic office in NYC at 212-744-9857. Prior to an office visit, please fill out Dr. Rozbruch’s patient forms to expedite your first visit.